Julie Richey and Ana Foncerrada are longtime friends and mosaic artists who have completed many large-scale mosaic commissions individually and together. Julie is an award-winning Dallas-based artist with 26 years’ experience specializing in custom mosaic art for residential, commercial and sacred spaces. Ana’s home is in Mexico City, where she teaches mosaic classes and creates original jewelry designs incorporating her mosaic work. Both artists have studied and exhibited in international venues including the US, Italy, Belgium, Spain, Australia and the UK. Ana and Julie so enjoy working together that they’ve created a way for other artists to experience the same esprit de corps and sense of achievement gained when a group works together toward a common goal. Their first co-teaching workshop was in Rome, Italy at the University of Dallas Due Santi campus, where the idea of creating workshops in Mexico was born. In 2016, Ana and Julie met with Anado and very quickly formed a bond based on a common appreciation for the joy of creating mosaic. This unique partnership and trust allows our team the exclusive opportunity to contribute our skills and vision to the elaborate designs that embellish the site. March 9: After you arrive and check in, we’ll host a welcome gathering. It’s part orientation, part get-to-know-ya dinner. March 10 - 14: Workshop/Instruction days. We begin each day with a lovely breakfast on the veranda at Casa de La Noche. 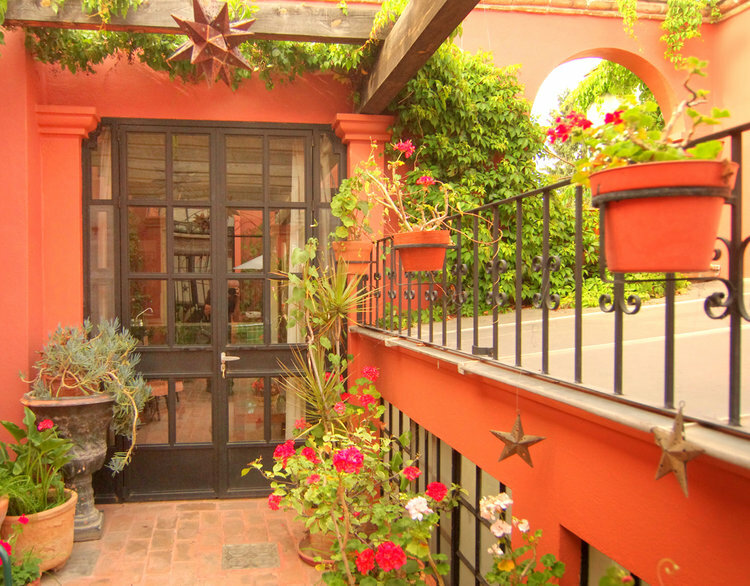 Our private transport will depart at 8:30 to La Cieneguita, just outside San Miguel proper, to Casa de Las Ranas. We’ll provide work space, mosaic materials, and all the supplies you need to create the work. You just bring your favorite tile nippers and mosaic tweezers. Basic designs and a theme are determined by Anado, but we artists then take over and create our “vision” of the theme. We’ll provide the expert instruction, and offer guidance and support. We work as teams, where each day you may be contributing on a different element or area of the overall project. This way, everyone gets to hone their skills in multiple areas. We break for lunch between 12:30 - 1:30. Lunches are delicious and healthy, catered fresh daily by Ana’s niece and served in the garden. Dietary restrictions can be easily accommodated if you give advance notice. We wrap up around 3 p.m., but sometimes folks have been known to beg for a bit more time to finish, so the departure sometimes is staggered in groups. The transport will bring you back to Casa de La Noche. From there, you’re free to relax back at the B & B, explore, shop, visit local museums, or enjoy the view of the city from one of the many rooftop terraces, cocktail in hand! Your evenings are free to explore area restaurants. On our last day at Casa de Las Ranas, we’ll celebrate our achievements with a toast, words of thanks and lots of group selfies. That evening, we’ll invite everyone to a closing dinner at our favorite San Miguel restaurant. An after dinner stroll through the Jardin - the best people watching! We often gather after dinner to share a bottle of wine (or tequila! ), talk shop, and share photos. This is also an invitation to experience the magic of San Miguel de Allende, the most artistic city in Mexico, recently named by Conde Nast “2018 Best City in the World” for a second year running. 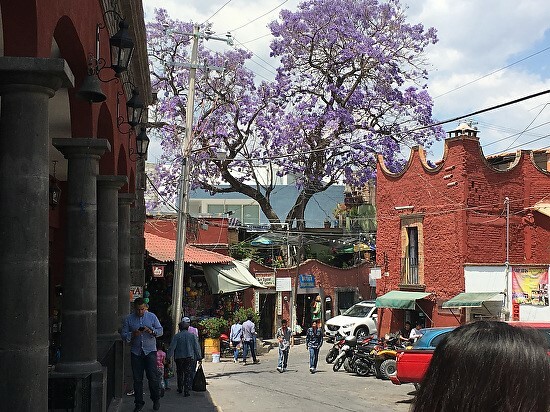 Students are encouraged to book a few extra days to walk romantic stone walkways and cobblestoned streets, to explore the history and culture of old Mexico, and to savor fine international dining and local Mexican favorites. Be sure to visit the unique Fabrica Aurora complex of art galleries, see other galleries, visit a nearby archeological site or explore more of the many possibilities in the area, either before or after the workshop. 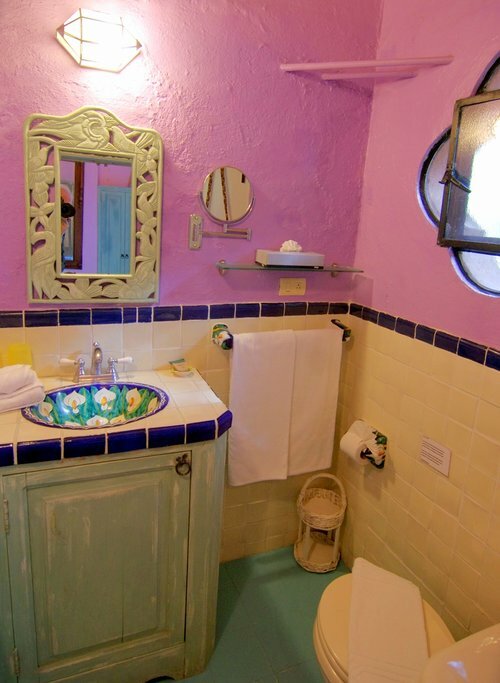 Check with Casa de la Noche for availability. Registration is open now and ends October 31 2019. Space is limited so don’t wait! 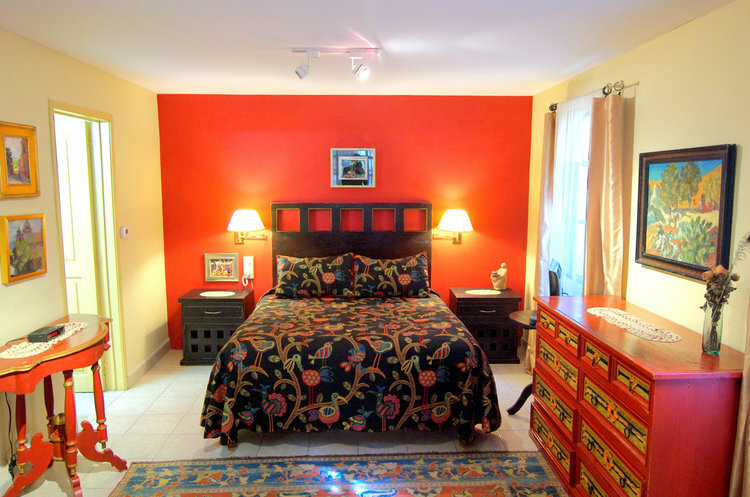 A $300 deposit for your room selection holds your preferred room at Casa de la Noche. Click on the PayPal button associated with the room of your choice. Final payments are due October 31st and can be paid by check to JULIE RICHEY MOSAICS, 1005 Haines Avenue,Dallas, Texas 75208. 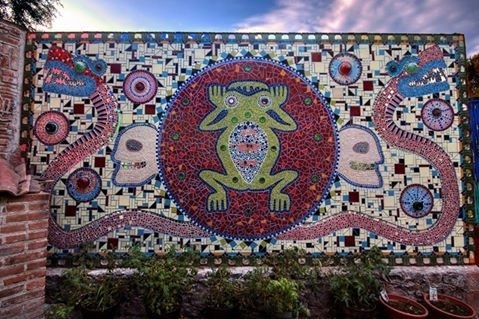 Please note “Mosaics in Mexico 2020 ” on the memo line of your check. 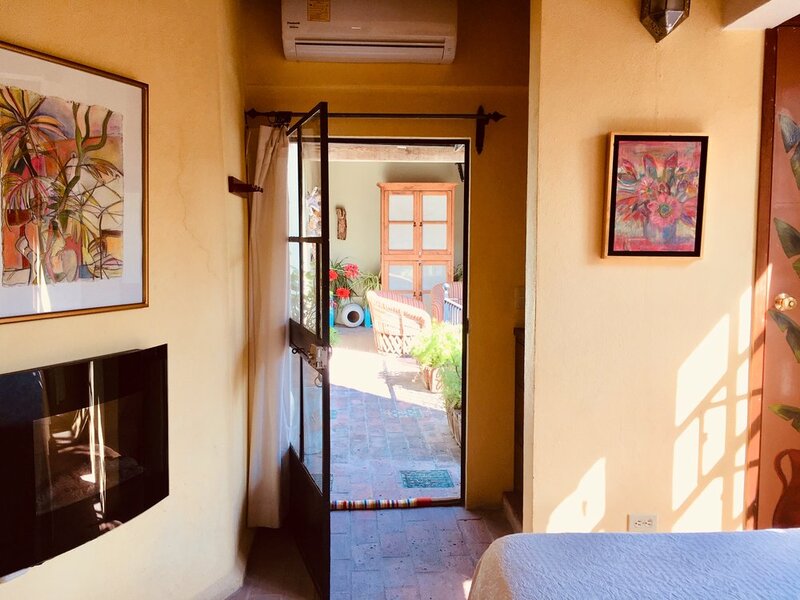 EARLY BIRD RESERVATION BONUS: Register for your room before June 1, 2019, and receive a FREE roundtrip airport shuttle from BJX (Leon airport) or QRO (Queretaro airport) to Casa de la Noche! Cancellation Policy. Refunds. Deposits. Because of limited accommodations, deposits are refundable only until 4 months prior to this event. Refund requests after this date will not be granted unless the workshop fills completely. All deposit refunds are subject to a $75 processing fee. Payment of the balance is due 30-days prior to arrival. If the workshop is cancelled by Julie Richey Mosaics and Tours you will be refunded all monies you have paid to date. We encourage you to purchase travel insurance that will cover your expenses in case your plans change. If you have any workshop questions, please contact Julie Richey at julierichey@mac.com. Our multi-level boutique hotel does not have an elevator. If you have concerns about your ability to negotiate steps, please let us know so we can help you choose your accommodation. If you have any lodging questions please contact Barbara at Casa de la Noche (info@casadelanoche.com; or call 831-373-8888). Rooms are available on a first-come, first-choice, basis. Please make your room selections below. Pricing includes lodging and all workshop fees! 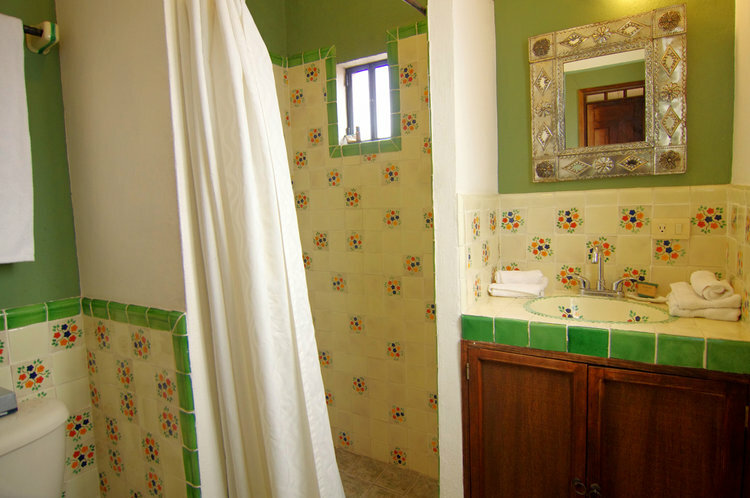 All suites have kitchenettes, cable television, air conditioning and private en-suite baths. LA TERRAZA SUITE Reserved for Arlene! MADAM’S SUITE Reserved for Julie! PALOMA LOFT SUITE Reserved forAndrea and Laurie! Our luxury rooms are distinguished by their size or special amenities. Each is unique and special! There is a large shared sala and kitchen. FIRST KISS ROOM Already reserved for Julie and Ana! KISS ME AGAIN ROOM Already reserved for Nancie! 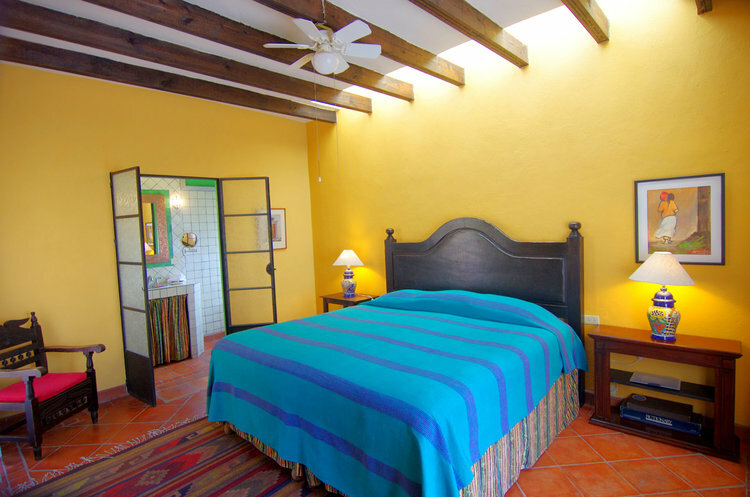 These charming Mexican style accommodations all have access to a common kitchen and sala area with fireplace, cable TV, and wireless internet making a perfect accommodation for friendly guest gatherings. All are situated around a secluded, pretty garden. HUMMINGBIRD ROOM Reserved for Sharon! MARIPOSA ROOM Reserverd for Goldy! DRAGONFLY ROOM Reserved for Paula! 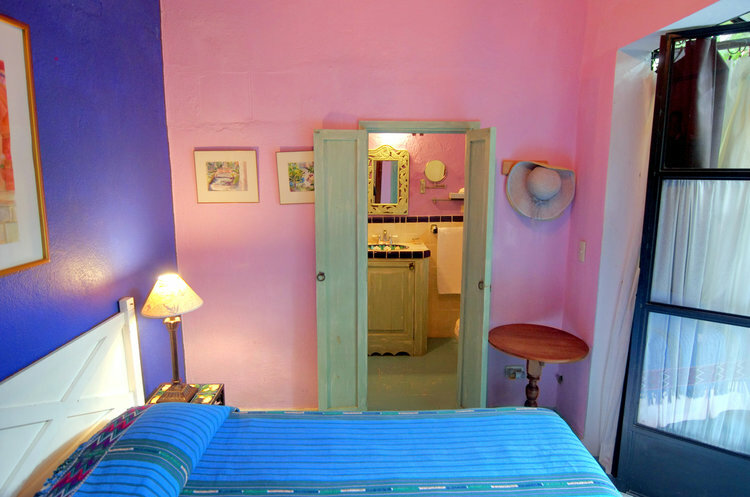 There are four cozy rooms in the main guest house, each with its own personality, that were once actually used by the working girls of the Bordello. There is a small efficiency kitchen area nearby as well as a common patio area and living areas. JOVITA ROOM Reserved for Susan! 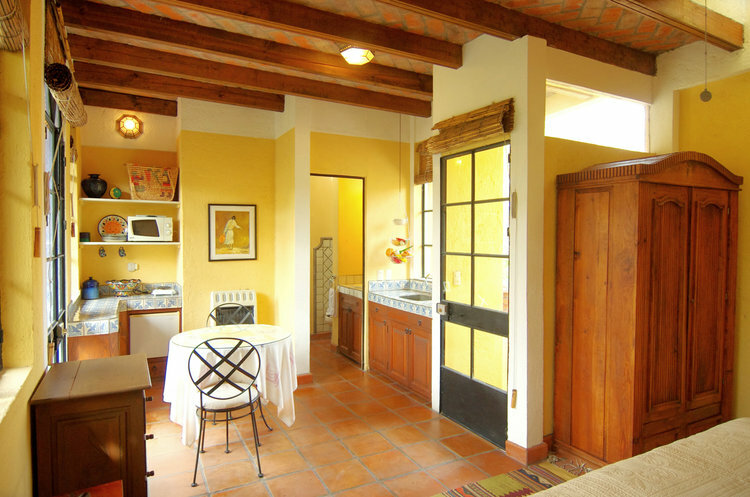 Scroll down to enjoy some of our workshop photos and photos of San Miguel de Allende.